Corinne Everhart working in The Studio. 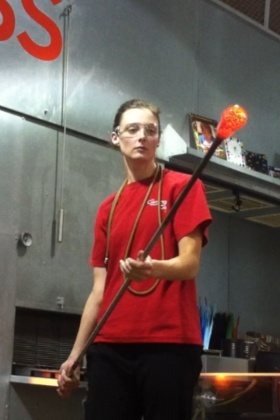 Corinne Everhart has been working with glass for more than 10 years. 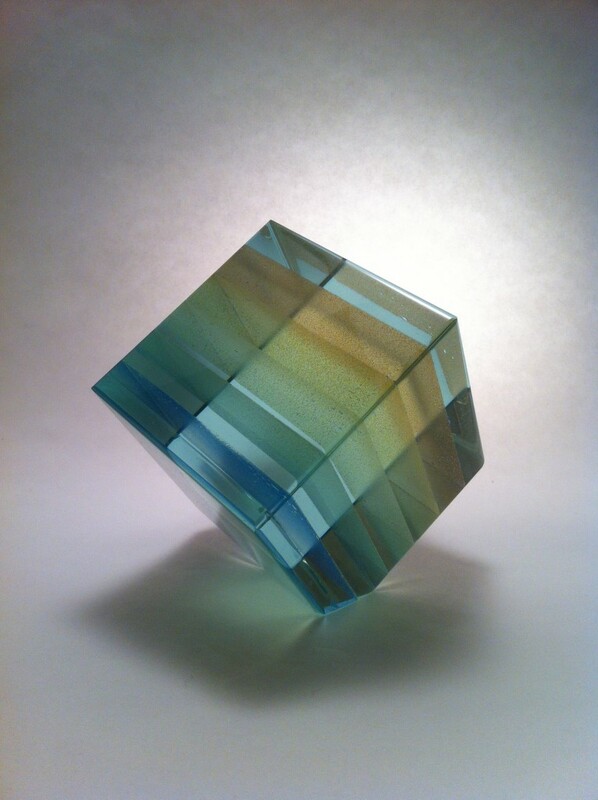 She started by working with a glass artist in Ithaca, NY. From there she entered into the Scientific Glass Technology degree program at Salem Community College. Once she graduated, Corinne came to The Studio because of the many varied opportunities to meet artists and develop her skills. I’m working in a few different areas throughout the year. I’m mostly working for the Make Your Own Glass so I get to meet all of the people that come in, like I did when I was young and just wanted to try melting glass – and that’s really fun. The idea that I could help other people develop their skills. That was something that I didn’t get when I was trying to learn how to blow glass. What was your first experience at the museum like? My first experience was when I was around 8 years old and I came and I saw people making glass and it was just really exciting to me. I was in awe; I had never seen glass melt before. I am. I have many projects at home, I have a little flameworking studio there and I like to come in here and rent time and make various product that I can sell at the Holiday Sale. What is your favorite piece/thing to make? My favorite thing that I like to make lately is marbles but it changes all the time. Marbles are really fun because they’re kind of quick and really rewarding. I like a lot of junk food so, fruit roll-ups. They are my favorite food. I would want to probably read minds because I like to help people and sometimes you can’t if they’re not telling you what they need. If you were in a circus what act would you want to be? Is there a common question you often get from visitors? What’s your favorite part of the museum as a whole? I enjoy looking at things in the museum, but I’m more drawn to the action here in The Studio, so I have to say The Studio.